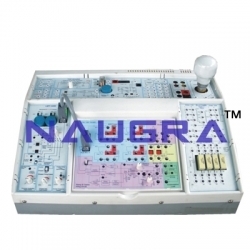 LabEquipmentsManufacturersIndia is a reliable communication lab equipments manufacturers, suppliers and exporters company based in Ambala Cantt, Haryana, India. We are exporting a wide range of communication laboratory equipments to government organizations, educational institutions, research centers etc at the very reasonable prices. Our wide range of communication laboratory instruments are available at different grades according to the needs of clients. We are using excellent quality of raw material and modern technology under the leadership of industry experts. Some of our communication lab instrument are air compressor, digital oscilloscopes, power supply (single), power supply (dual), logic boards, digital multimeter (dmm), analogue miliameter, spectrum analyser, analogue voltmeter etc.